One night, on a planet light-years away a babe was born in humble circumstances. The light from that start reached that planet at the precise moment necessary to announce His divine birth. The star seemed to instantly appear to those believers who searched for signs of His birth. It was a miracle. Only the star knew that the miracle was not an instant one, but from a carefully prepared plan set in motion long before. 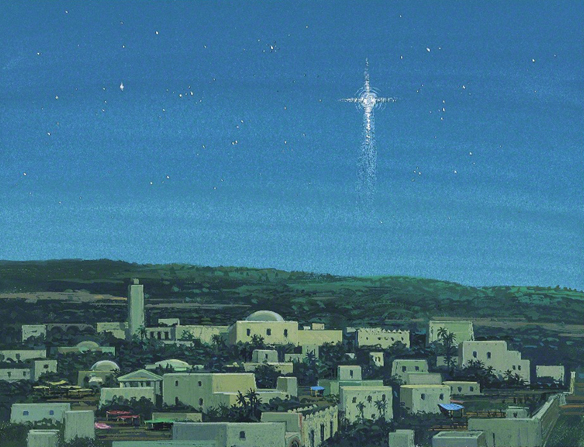 The star’s job did not begin that night, but that faithful star’s light is one of the most important and remembered symbols of our Savior’s birth. Our own light, our own testimony, is like that of the star. It needs to begin shining brightly long before the moment it is needed to travel the distance and gain the strength necessary to fulfill its purpose. 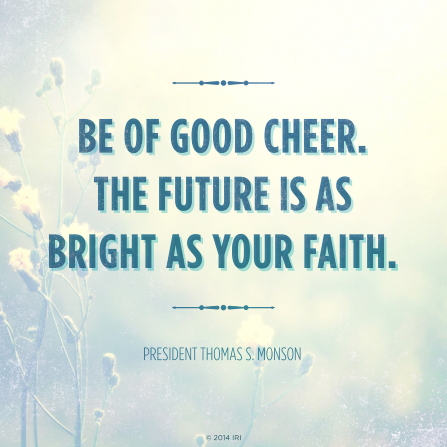 When the work is hard we need to not get discouraged when it seems that no one notices our bright light, it may not have yet reached its destination. We are a part of a carefully prepared plan and mission that may still be in the future. The miracle may seem instant to those who gaze upon it, but you will know the long preparation that occurred to fulfill your part in that miracle. Your light is more important than you know. Keep shining. Keep pushing.